HR-45M Manual Superficial Rockwell Hardness Tester adopts mechanical and manual testing method, without electrical device. 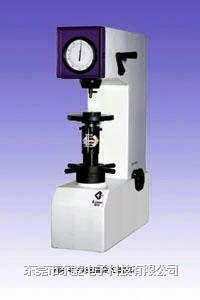 With simple appearance, it uses as popular type Rockwell Hardness testing instrument. Surface hardened steel, copper, aluminum alloy sheet, hard alloy steel, zinc layers, chrome layers, tin layers, surface heat treating and chemical treating materials, etc.